A rainy day today and finally some time to edit video. This is a small pencil box I made for my daughter in law who is going back to school to learn how to help people. My first grand child was born to her 6 months ago and I wanted to make her something that was a bit more common in my time, yet still practical now. I don’t know where I got the idea, but it isn’t original to me, I just thought up the angled slot in the 2×4 to hold it. Necessity is the mother of invention. Thats a nice pencil case you have made Jim. A question what equipment do you use to record edit and produce the videos? I only have a smart phone to take stills with and the quality is very unpredictable. 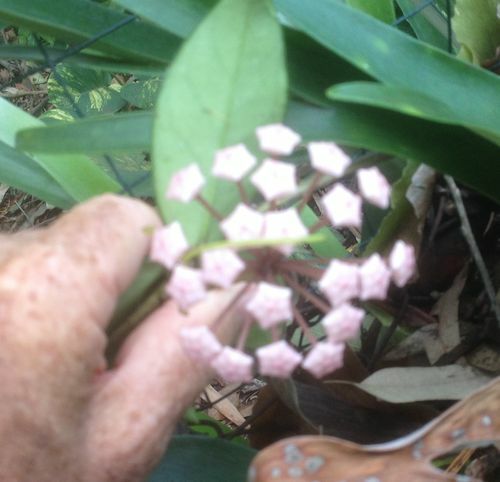 For example here is a shot of my Hoya flowering everything but the bloom is in focus. A lot of my ww post suffer the same effect. After seeing my son’s Go Pro I thought about trying to do better, and your videos are of a professional standard, even if unedited!!. After seeing my son s Go Pro I thought about trying to do better, and your videos are of a professional standard, even if unedited!!. I use a Lumix FZ-150…....and a lot of editing.